Our Christmas Day tradition is to go and see a movie and have Chinese food. This year’s movie was “Les Misérables“, the movie version of the long-running stage musical that we saw for the first time in July 2011 (the 25-th anniversary production). “Les Misérables” (the musical) tells the story of Jean Valjean, also known as prisoner 24601, and his adopted daughter, Cosette. 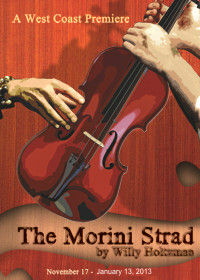 It is based on the Victor Hugo of the same name, but does cut a few elements of the story. The story, which covers 17 years, is so complicated that a synopsis needed to be published in the program (seemingly, a bad sign). Given that, I’m not going to attempt to repeat it here. You can read it yourself in the program, or from the Wikipedia Page on the show. Suffice it to say that the stage production condensed the 1,200 page, five volume novel into two acts of 90 minutes and 65 minutes respectively. The first act coverd Jean Valjean’s release from prison and the interaction with the Bishop at Digne, the mayoral years at Montreiil-Sur-Mer where Valjean meets Fantine and takes responsibility for Cosette, the visit to Montfermeil where Valjean obtains Cosette from the Thénardiers, and the years in Paris where the student revolt begins and Marius and Cosette fall in love… all of this while the police officer Javert is chasing Valjean. The second act is solely in Paris and covered the student revolt, its failure, the subsequent growth of the relationship between Marius and Cosette, the final confrontations of Valjean and Javert, and the final redemption of Valjean. That’s a lot of material to cover—trying to cover so much material and so much time is the reason many great novels, such as Gone With The Wind, never make it to the Broadway stage. It is a testament to the original authors Claude-Michel Schönberg (music) and Alain Boublil (a French-language libretto) that they were able to take the beast of a novel and turn it into something understandable (although, arguably, this is really a full opera presented in the guise of a “musical”—at times, the lines between the two blurs). It is also a testament to the English language adapters, Herbert Kretzmer who developed the English language libretto, and Cameron Mackintosh, the original producer, who discovered the French production in 1982 and has sheparded it ever since (I’ll note Mackintosh’s full bio in the program was: “Produces musicals.”). The production was adapted by Sir Trevor Nunn and John Caird. The translation does have its weak parts, however, primarily in how manipulative it is for the audience. By this, I mean the show in engineered to be a pleaser, with music that builds and leaves the toes tapping; with moments designed to permit the actors to shine; and with act-ending finales designed to stir the soul. In that sense, it is truly operatic as opposed to dramatic. It it also, at times, emotionally overwrought—again, a hallmark of the more operatic side. To some that is a fatal flaw that reduces the worth of the show, but I do enjoy the general effect. This synopsis applies to the movie as well. In fact, the movie is only two minutes longer than the stage version, but feels even longer due to the lack of an intermission (oh, how I wish they would bring those back for movies). From reading the comments on some of the reviews, it appears the movie did some judicious trimming of the stage production in a few areas, and added a few clarifying moments. It is really hard to tell unless you have memorized the score, because the director, Tom Hooper, engaged the original authors to adapt the score for the stage. One addition I know of is a new song, “Suddenly”, which was added to capture the moment when Jean ValJean recognizes he is responsible for someone else. The authors indicated this wouldn’t work on stage because it was too close up a moment. That brings up an important difference between stage and screen. Stage is always at a distance — there are no closeup shots unless you have binoculars with you. The screen can do the closeup, and thus the important of facial nuances and acting in the small is important. Hooper attempted to address this concern through his cinematography, in particular the closeups every time someone was singing. Many times this worked — in particular, it worked well during many of the Anne Hathaway songs. But I felt that he overdid it; it would have been nice to have these close-ups intermixed with some shots at a distance. In particular, I got tired of the many facial closeups that had me thinking about the work involved to stain so many teeth. Another difference between stage and screen is that stage locations are simple representations of locale and place. Abstractions of a prison, a cathedral, a workhouse, an inn. The screen affords the opportunity to make those locations realistic — to bring the audience up-close with the dirt and the grit and the grime. This, in turn, leads to an intense realism for the story and story elements. Many of the location shots worked quite well (although a few were a bit too CGI-ish — in particular the opening boat sequence and some of the sequences of Javert walking across the wall edge above the water). There were a number of sequences that stuck in my mind. In particular, I really liked the Act I closing sequence (oh, right, no acts)… I mean the sequence for the song “One Day More”. The intercuts between the various actors and locations was a perfect use of cinematography. Credit should go not only to Tom Hooper for this, but to Danny Oliver, the cinematographers, and Chris Dickens and Melanie Oliver, the film editors. I also liked the visuals on the sequence where they pulled up and out from the barracades. Both were visually stunning. I also liked the sequence where Valjean tore up his letter of leave and threw it into the wind. The realism of a motion picture often works against the movie musical. Although easier to do in the era of the soundstage film (read: MGM musicals), the realism of today’s musicals often work against characters turning and bursting out in song. Hooper addressed this by retaining the sung-through approach of the original stage production, creating the conceit that singing is the normal singing. I think this was a smart decision, although it probably turned people away (as an aside, it would be really nice to see a modern remake of Porgy and Bess that did this). Hooper also addressed the common musical problem of lack of emotion in the singing, which comes about because actors record the songs months before they film the action. He actually had the songs sung by the actors during the filming. This worked very well, and brought out extra emotions that were visible in the end film. The movie really did need an intermission, as movies often did in the 1960s (look at Sweet Charity, for example). It was obvious in the movie where the act break was: the emotion builds up during “One Day More” (the Act I closer) and then… bright sunlight. It was a jarring transition, and really needed the breath of an intermission. I did, however, appreciate their retaining the finale. Closing with the scenes of the barricades, and the stirring music of “Do You Hear the People Sing?” is much stronger than ending in the abbey. Turning to the individual performances: Most were impressive, especially when viewed on the acting scale. Lets start with the leads: As Javert, Russell Crowe acted well… but he really didn’t have the vocal power necessary for the role. Hugh Jackman did much better as Valjean — he acted strongly, and sang quite well (he has had limited Broadway exposure, primarily in “The Boy from Oz” where he played Peter Allen). A number of Jackman’s scenes stick in the mind, especially the closing scene in the church, the scenes with Fantene, and the scene in the sewer. Amanda Seyfried did a wonderful job — she had a wonderful voice in her numbers, and a lovely gentle expression. It wasn’t just women that were great. I was very impressed with Eddie Redmayne as Marius — he performed well and had a lovely voice. Now for the children and comic relief: Isabelle Allen did a very nice job as Young Cosette; in particular, she nailed her performance of “Castle in the Clouds”. I was less enamored of Daniel Huttlestone‘s performance as Gavroche: He performed well, but I couldn’t understand why an urchin in France had a heavy cockney aspects. He’d would be great as the lead in Oliver!. For comic relief we had the Thénardiers: Sacha Baron Cohen and Helena Bonham Carter. Both acted and sang reasonably well, and I loved the little nuances during “Master of the House” (although they really changed the reprise). Carter’s career seems to be playing slightly made eccentric women. She’s great at it, but it would be nice to see her in a normal role. (I’ll note that Hooper did cast her in one in his previous film, “The Kings Speech”). 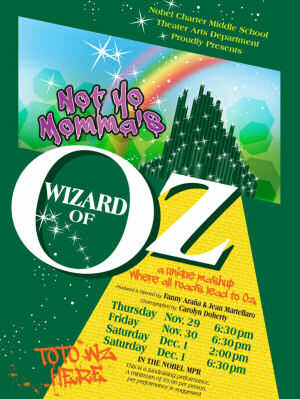 Accents were a major problem in this production. I had trouble understanding why, for a story that ostensibly took place in France, most of the characters had English accents when singing. They dropped into French when they wanted to be course or show station, and of course Gavroche had a cockney accent for some unknown reason. If the movie was to be realistic, they needed to work on the accents. A few other little notes: Colm Wilkinson, who was one of the original Valjeans on stage, played the Bishop of Digne, which I thought was a nice touch. Another stage actor in a major role was Aaron Tveit as Enjolras; Tveit was most recently one of the leads in Catch Me If You Can. 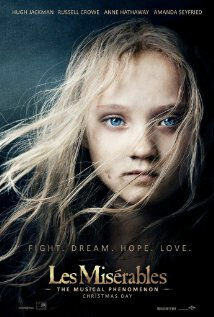 Does “Les Misérables“ have enough to win over the movie-going audience not used to musicals. Possibly. They will dislike the length and the sung-through aspects (especially those unfamiliar with the stage production), but will probably enjoy the performances. As with the musical, the movie is well-crafted to tug at the emotions and to build to a climax. Music does that so well. If you don’t shed a few tears at the end, I’ll be surprised. 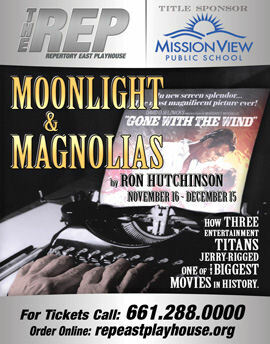 Previews: We had five previews at our performance. “Oblivion” is an action-adventure movie with Tom Cruise and Morgan Freeman, dealing with a war that ended mankind. Looked sorta interesting, but I can’t see shelling out the bucks for it in the theatre. I’ll probably watch it when it shows up on TV. “Identity Thief” was one of two Melissa McCarthy comedies previewed. The presence of Jason Bateman should be a warning (although he was OK in Hitch). This looks like the premise could be a bit tiresome on the big screen. Again, it should do well on cable. “The Heat” was the second Melissa McCarthy comedy, this time pairing McCarthy with Sandra Bullock. This could be funny, although again it doesn’t seem to be the type of “event” movie that requires the big screen. I’ll probably wait for this one as well. “Quartet” looks to be a cute movie for the elderly crowd, but probably won’t score well with audiences. Again, I’ll wait for this one, although my mother-in-law would likely love it. “Admission” is a Tiny Fey/Paul Rudd comedy, and looks mildly entertaining. Again, I’m not seeing much that says “big screen” is required. You’ll probably note that I felt all of these movies could wait for the small screen. There are movies that are so big they require a full screen and audience to immerse you in the story and place. Les Miserables was one; Lincoln was another. Many of the science-fiction movies are that way. But your simple comedies? Often, they don’t need the big screen to make their points. Dining Notes: It was Christmas. This meant Chinese Food. Last night, we ended up at Lotus Inn in Woodland Hills. They were overloaded and understaffed last night. This meant that the service was a bit slower. As for the food, there were strengths and weaknesses. The Orange Chicken and Lemon Chicken were particularly good, as was the Chicken-Corn soup. The Chicken with Garlic was more problematic, as the menu didn’t make clear the use of bell peppers and mushrooms in the dish. I ordered a BBQ Pork appetizer. While tasty, it wasn’t up to the standards of Chinatown Cha Su — it had a heavier BBQ sauce (although not Western) when a lighter drier touch was required. My wife had the Singapore Noodles, and found them a little salty. Still, when compared to the previous year’s Hot Wok, it was much better. Upcoming Theatre and Concerts: We currently have no movies scheduled or anticipated in the next 6 months. 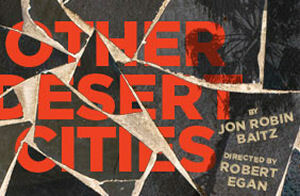 Our 2012 entertainment year ends next week with Other Desert Cities at the Taper on December 29. Turning to 2013… January starts with “Anything Goes” at the Ahmanson on January 6. January 12 is currently held for the MoTAS Shabbat, although I may book something in the evening. January 19 is currently open, as Erin returns to Berkeley the next day; supposedly, there may be an event at REP of interest that evening. January 26 is being held for the just announced production of Triassic Parq–The Musical at the Chance Theatre in Orange County. February will start with the first play of the REP season, “Putnam County Spelling Bee“. February 9 is being held for “Backbeat” at the Ahmanson. February 16 brings “You’re a Good Man, Charlie Brown” at Cabrillo Music Theatre, and the last weekend of February is currently open. March starts with “I’ll Be Back Before Midnight” at the Colony. After a break for Fogcon (although I may do something here), theatre picks up with “Catch Me If You Can” at Broadway LA/Pantages on March 16 and “Boeing Boeing” at REP East on March 23. March may also bring “End of the Rainbow” at the Ahmanson, most likely on March 30. April will bring the Southern California Renaissance Faire (huzzah for the $15 Holidazzle sale), “Grease” at Cabrillo Music Theatre, and “To Kill a Mockingbird” at REP East. I’m also keeping my eyes open as the various theatres start making their 2013 season announcements. Lastly, what few dates we do have open may be filled by productions I see on Goldstar, LA Stage Tix, Plays411, or discussed in the various LA Stage Blogs I read (I particularly recommend Musicals in LA and LA Stage Times). Last night, we went to the Valley Performing Arts Center to see a folk legend perform. No, I’m not talking about Tom Paxton. 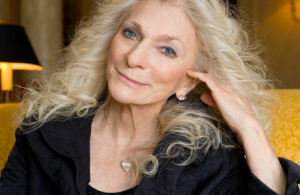 I’m talking about Judy Collins, who at age 73 is still performing across the country, still singing folk songs and standards, and still telling stories of the folk scene of the 1960s. A lot of people don’t think of Judy Collins as a folk artist. I can understand that well — my first introduction to her music was not through folk music. A girl I dated (all I can recall is she lived in Los Feliz) gave me the album Judith. This albums was mostly covers of songs, including “Send In The Clouds”. Since then I’ve been introduce to Judy’s earlier folk work, and have learned about her participation in the folk scene of the 1960s. The show setup was simple, a piano (occasionally with her accompanist and music director, Russell Walden; occasionally played by Judy) and a guitar. In between songs, Judy gave a retrospective of her life (although happened less in the second half, leaving us pretty much stuck in the late 1960s as far as her stories). A lot of her stories were about her father and her influence on her life. The music was varied: folk combined with many standards, and including songs from some of the greatest writers of the 20th century: Bob Dylan, Leonard Cohen, and Jacques Brel. The second half felt a lot shorter than the first, and I heard comments as we were leaving that Judy didn’t sing some of their favorites (in particular, “Both Sides Now”). That didn’t bother me; the artist makes their artistic choices. For someone with a catalog as deep as Judy Collins, it is understood she won’t sing the favorites every time. Her performance was strong. I could hear the age creeping into her voice — it didn’t have quite the purity of the early days, and she couldn’t hold the notes quite as long. But that’s to be expected — voices age along with bodies. She also didn’t have as much stage presence as Raul Esparza or Bernadette Peters (but that’s to be expected). Comparing her to some other folk artists I have seen at McCabes (Paxton, Stookey) she was good. She was better in the first act with the story of her life; there was less of this in the shorter second act. I particularly enjoyed those stories, especially the mention of her friendship with Mary Travers. I just wish she had continued with the story, bringing us through the 1970s to the present day. I was a little surprised that she had limited “merch”: one live performance DVD (“Judy Collins: Live at the Metropolitan Museum of Art“), and copies of her recent book (“Suite: Judy Blue Eyes“). I was particularly suprised she didn’t have her latest CD (“Bohemian“) out. Upcoming VPAC Performances: Currently, we have no more performances ticketed at VPAC this season. Looking at what is left of the season, we may get tickets to Michael Feinstein in May. 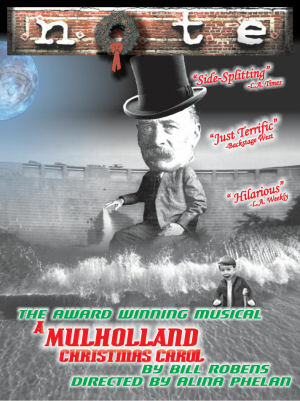 Upcoming Theatre and Concerts: Tonight bring an intriguing mash-up: “A Mulholland Christmas Carol“ at Theatre of Note on December 22 (this is a combination of A Christmas Carol with the story of the St. Francis Dam disaster). December ends with Other Desert Cities at the Taper on December 29. (I”ll also not we’ll likely see the Les Miz movie on Christmas, followed (of course) by Chinese food). Turning to 2013… January starts with “Anything Goes” at the Ahmanson on January 6. January 12 is currently held for the MoTAS Shabbat, although I may book something in the evening. January 19 is currently open, as Erin returns to Berkeley the next day; supposedly, there may be an event at REP of interest that evening. January 26 is being held for the just announced production of Triassic Parq–The Musical at the Chance Theatre in Orange County. February will start with the first play of the REP season, “Putnam County Spelling Bee“. February 9 is being held for “Backbeat” at the Ahmanson. February 16 brings “You’re a Good Man, Charlie Brown” at Cabrillo Music Theatre, and the last weekend of February is currently open. March starts with “I’ll Be Back Before Midnight” at the Colony. After a break for Fogcon (although I may do something here), theatre picks up with “Catch Me If You Can” at Broadway LA/Pantages on March 16 and “Boeing Boeing” at REP East on March 23. March may also bring “End of the Rainbow” at the Ahmanson, most likely on March 30. April will bring the Southern California Renaissance Faire (huzzah for the $15 Holidazzle sale), “Grease” at Cabrillo Music Theatre, and “To Kill a Mockingbird” at REP East. I’m also keeping my eyes open as the various theatres start making their 2013 season announcements. Lastly, what few dates we do have open may be filled by productions I see on Goldstar, LA Stage Tix, Plays411, or discussed in the various LA Stage Blogs I read (I particularly recommend Musicals in LA and LA Stage Times). We go to a lot of theatre. Sometimes, however, there are stories that are told better on the silver screen, due to the need to immerse oneself in the environment and characters. Today, we saw one of those moves: “Lincoln“, produced and directed by Steven Spielberg. Lincoln tells the story of our 16th President and his political battles to get the 13th amendment passed. As with the musical 1776, this is political sausagemaking — something you don’t really want to see. This wasn’t an argument of lofty goals and high ideals. This was political horse trading, some borderline constitutional actions, and the story of a President who was doing what he felt needed to be done to bring the country back together. This art of horsetrading and personally cajoling the other party is something that has been lost: President Obama would be well advised to see this movie to learn, perhaps, how to take some leadership roles in convincing congress. The history told in the movie is fascinating, and illustrated political nuances I hadn’t thought about before. I do not know if it is 100% true, but it appears to have been well researched. The movie illustrates as Washington DC and a government bureaucracy vastly different than the imperial presidency we see today. I understand how today’s presidency has grown in the trappings — much of it arising due to Lincoln’s assassination attempt — but one wonders if it has distanced the occupants of the office from the people. The performances in the movie were spectacular. You can see the full cast at the IMBD page, but I’d like to highlight some performances. 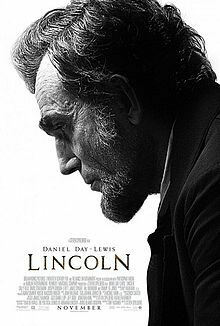 As Lincoln, Daniel Day-Lewis gave a truly spectacular performance — I expect him to be nominated for a Lead Actor Oscar. Believable and moving, he embodied the character and brought him alive. Also notable was Sally Field as Mary Todd Lincoln. Although I’m aware of the age difference between Field and Day-Lewis, the pairing worked well. Field brought surprising depth to a character that is much less understood. Field may also see (another) Oscar nomination–I think we really like her. A number of the supporting characters are also worthy of mention. I particularly liked Tommy Lee Jones’ Thaddeus Stevens, head of the conservative wing of the Republican party. Also notable was James Spader was W.N. Bilbo, one of the horse traders used to convince Democrats to support the amendment. I also liked Jared Harris as U.S. Grant. A few other quick notes. During the opening scene, there is a shot of Lincoln slowly standing up to speak. I instantly thought of “Great Moments with Mr. Lincoln.” I also noted how realistic the war scenes were. War, especially in the mid-1800s, was hell.